Wish you have a wider variety of mobs in Minecraft? 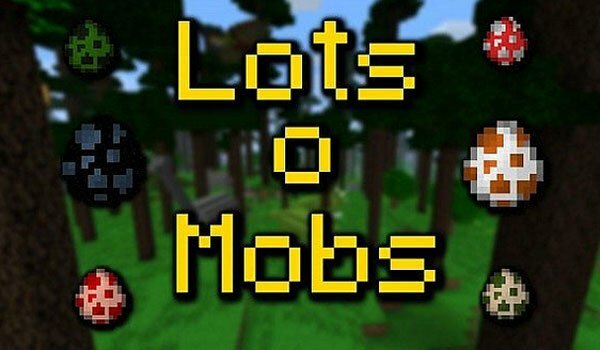 LotsOMobs 1.7.2 and 1.7.10 is a mod that adds two new dimensions, one called “The Age of Dinosaurs” and the other “Ice Age”, where we find characteristic mobs. In the normal world, is where more animals are added for now, here are some of them: birds, boars, deer, water mobs, camels, bears, giraffes, penguins, polar bears, lions, elephants, snakes and crocodiles. The first dimension, takes us to the time of the dinosaurs and find 5 kinds of them, the T-Rex, Triceratops, Brontosaurus, pterosaurs and birds of prey, as well as cavemen. While the second will lead to a frozen world, where we find mammoths, saber-toothed tigers and Eskimos. The variety of new animals, offers new elements as grocery and minerals with which to create new weapons and armor. How to install LotsOMobs Mod for Minecraft 1.7.2 and 1.7.10? New mobs and two new dimensions!